POWER OFF. Make sure all leads are connected firmly. Press the OPEN button; Insert your CD (lable side up); close the lid. Switch on your Playstation and television. Select the Playstation television channel (often "8", "0", "AUX", "AV" - see your TV manual for more help). You should get a clear, steady screen. Position the interface in front of you, with the sockets to the back. 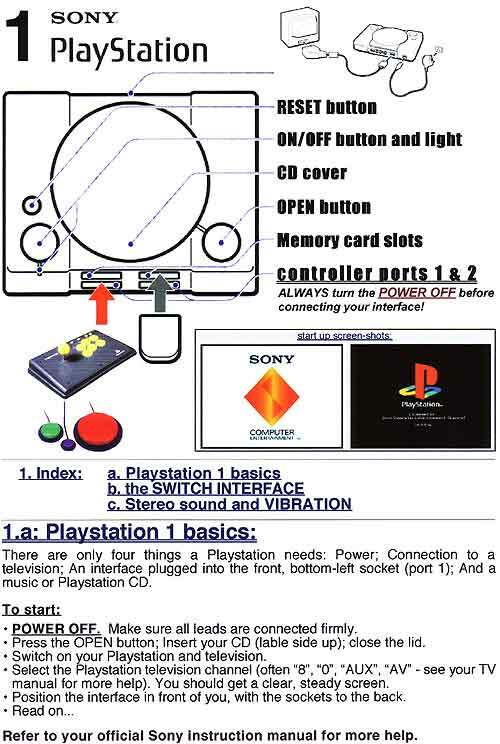 Refer to your official Sony Instruction manual for more help.